As you know by now, I have not posted anything in ages. After the Republicans blew that last election, I just couldn’t bear to closely follow the news anymore. Obama is a Marxist, as well as his Democratic compatriots, and I just didn’t have to the stomach to watch the dismantling of our Republic and its transformation into some type of Marxian mix of democracy and soft authoritarianism. Now that time has started to heal some of my bitterness at the weak willed Republican establishment, I think it is time to slowly start dipping my toes back into blogging. 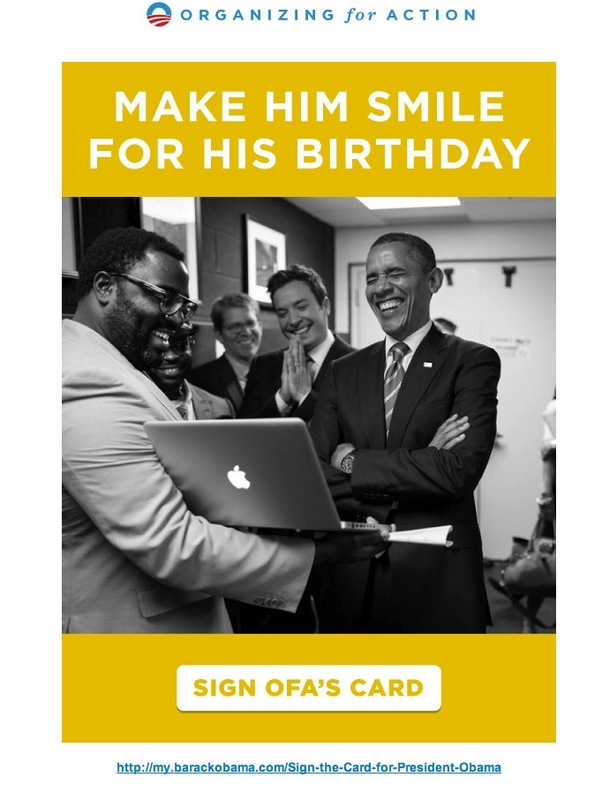 Yesterday, I received some creepy email from Organizing for Action wanting me to wish Obama a happy birthday. Yes, let us all wish Dear Leader a happy birthday. For those old enough, what type of government do you associate the cult of personality with? Certainly it isn’t a Republic. After having saw this photo, I perused the Marxian Obama site and found these pictures as well, mostly from the 2012 election. Have your taxes gone down? I know for certain I’m paying the exact some percentage as I was in 2008. 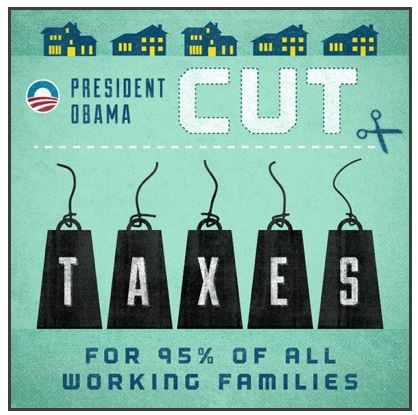 Sure, we had that short lived Stimulus tax break and then the Social Security tax holiday, but those were not cuts. They simply were one time, short lived reductions. Tax rates for the middle have remained static. Are people this stupid and uniformed to believe these outright lies? Now that’s funny, considering all the exemptions, the delay of the mandate, and now the exclusion of Congressional aides from Obamacare. Add to that, we now know that Obamacare is creating a part-time job economy which dwarfs the full time job market. 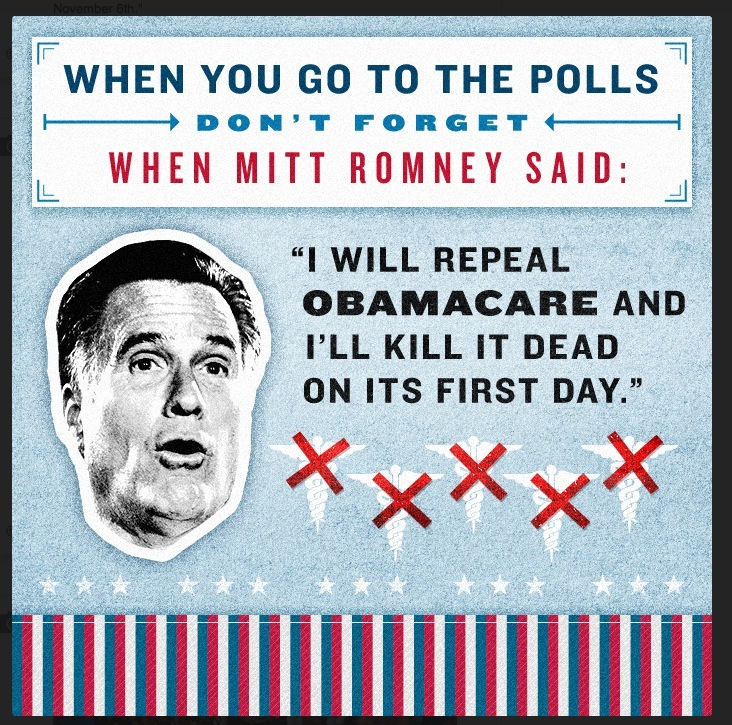 I’m think Romney was right on this one. Dear Leader apparently broke Bin Laden’s neck with his own hands! 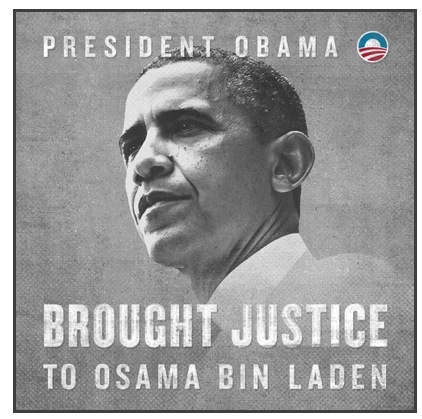 Funny how I thought our Seals and thousands of other American troops brought Bin Laden to justice. A true leader of a Republic is humble. This man’s ego is suited to some type of authoritarian state where the leadership is worshiped. Over 7.9 million jobs were lost during the Great Recession, which means this boast is meant to stupefy the low information voter. 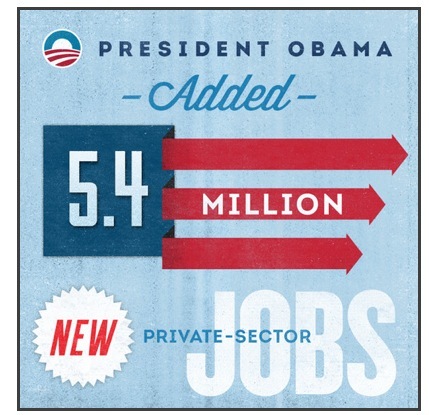 Just too bad that Obama’s economy is some 2.5 million jobs short of employment levels in 2008. In a not too distant past, I paid $800 a semester to go to college. 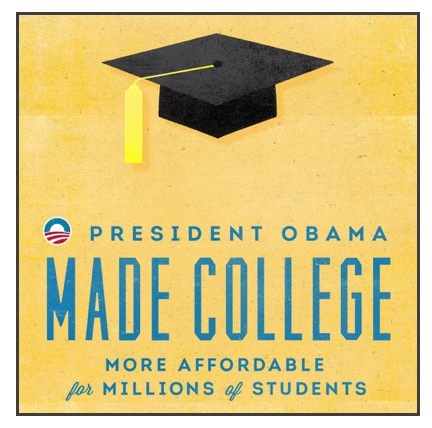 The only thing Obama has made available are loans for an over-priced education system that lets students graduate with unbearable debt. Does anyone call him out on these things? Of course, that would require a press that isn’t an unpaid advertising outlet for Democrats. Speaking of which, did you hear about CNN breaking the story that our Benghazi consulate was running guns? Only now they are afraid if they pursue it, they might lose access to the White House. Years ago, that would have been a badge of honor. Now it is a perk and chance to socialize with like minded progressives. Last week, CNN aired two striking reports revealing that the Central Intelligence Agency had a large number of agents on the ground on the night of the attack and that a suspect in the attack has never been interviewed by investigators. Following these revelatory reports, which some in President Barack Obama’s administration believe represent a political threat, some CNN reporters now fear for their access to the White House. They are not alone. Read more…. Of course, it this was a Republican administration, there would no such fears. Your reaction is exactly the same as millions of others who were distressed to see the despicable Obama reelected. I find this both interesting and depressing. Looking back over what our government was doing to specifically repress the conservative vote, is it any wonder that all the “little guys” out here in flyover country are completely discouraged? We must fight. Let’s hope we remember that. I think what bothered me most was that Romney never pulled out all the stops to win. He never beat Obama over the head with Rev. Right, the horrible economy and so on. Then the RNC agrees to have a bunch of liberals host the debates. Where’s the strategy in that? What angered me the most was the touted Romney get out the vote plan. By all accounts in was a technological disaster. How hard is it to emulate what the Democrats do. Either you want to win or you don’t. And in the last election, it was evident that Republicans were just going through the motions. I had to step back. Anger does you no good when you have no outlet to channel it.